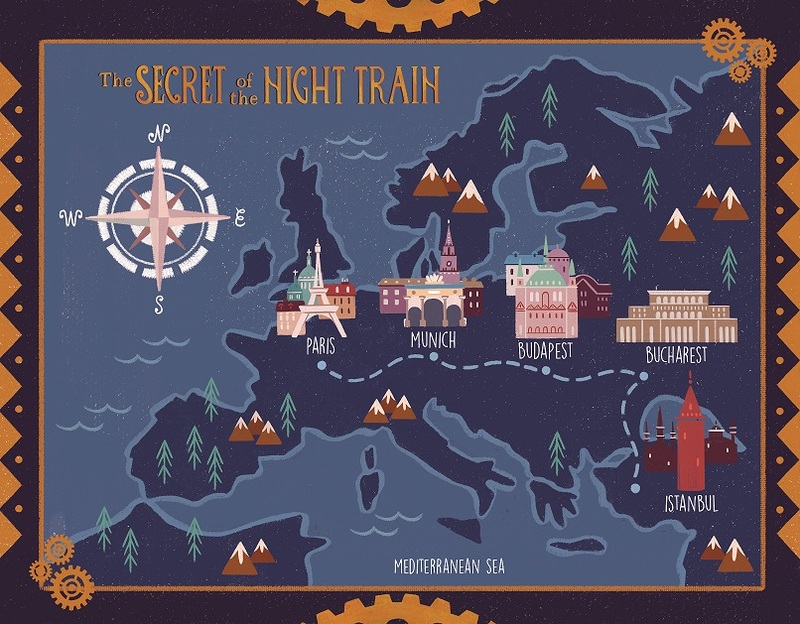 In my new book, The Secret of the Night Train, Max Morel takes a journey from Paris to Istanbul on four trains. She is accompanied by a nun called Sister Marguerite, and must solve the mystery of a smuggled diamond. I was lucky enough to do this journey myself, and wrote a lot of the book on board. In this series of blog posts, I talk about my real journey, and how it informed the book. I had a very short window of time to make this journey, and to my grumpy and continued regret, the Ister wasn’t running. There were major reconstruction works at Sirkeci station. Woe is me! How shall this poor author write about a train she hasn’t travelled on? I still wish I could have gone, but in the end it prompted quite a useful decision. I tried to conjure up this fourth train using the pictures on Google, but it felt abstract and boring, and I knew I had to do something else. To be honest, I am not sure if seeing the real train would have helped. I realised, as I crossed out a description-of-train passage for the nine millionth time, that maybe I had just described too many trains. Maybe we were train-ed out. It was time for a new setting. Which was all very well, but short of shoving Max off and making her walk, I had no choice. She had to travel on a train. My housemates, for the record, are first class genius muses of the highest order. So the next day found me glued to YouTube videos about thrill-seekers who climb on the outside of trains, which are a great thing to watch if you happen to enjoy feeling sick to your stomach or yelling “No, you fool, what are you doing, oh my God” at strangers on your computer who are genuinely extremely likely to die. As a result, the Ister section of Night Train is not much of a travel guide. It is more of a how-not-to-travel-guide. Poor Max. I put her through a lot. This is the last train of the journey, but we are still only about two-thirds of the way through the story. From then on, while I was writing, I really missed the trains. They made so many decisions about the narrative for me – I very literally just followed the tracks. Once the characters arrived at the end of the line I was back in the big bad world of choices, where I had to carve out a narrative path for myself. This, therefore, is the point in the book where things get odd. There are live jewel-covered birds and plant-based-disguises and elaborately constructed break-ins, because my untrammelled brain can’t be trusted. Taking this journey was the most enjoyable, useful, memorable writing process I have ever tried. If you ever want to take the journey yourself, or any other international train journeys, I highly recommend www.seat61.com – incredible stuff. And I hope you enjoy the book! 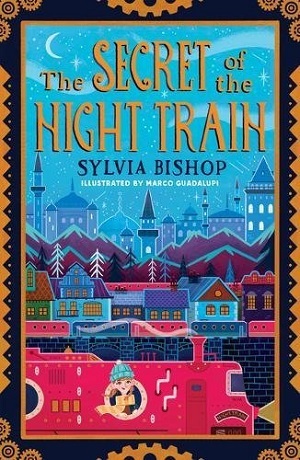 The Secret of the Night Train by Sylvia Bishop is out now, published by Scholastic (RRP £6.99), and you can buy it here. Or, win one of my two copies (with thanks to Scholastic) by finding my MinervaReads Facebook page and commenting on this post.